Isla Mujeres, the “Island of Women,” was once a sanctuary to the Mayan goddess of happiness; Ixchel. The first point in Mexico to be touched by the rising sun, this Caribbean paradise is the perfect place to retreat from the demands of day to day living. The Isla Deep Seating Set by Woodard can also offer you a relaxing retreat right in your own backyard. The striking medallion which forms the back and the sloping arms and profile are evocative of the brilliant Mexican sun and gentle Caribbean waves. Can’t you recall the warm tropical breezes, carrying the smell of saltwater and jasmine through an open window? But the Isla Deep Seating Collection isn’t just palmettos and pina coladas. It is a perfect example of the expertise in constructing premium patio furniture that Woodard has accumulated over the past 140 years. 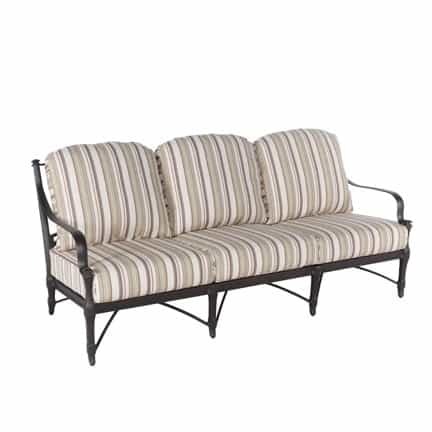 The Isla Deep Seating Set is as resilient as it is attractive and has been crafted to give you seasons of enjoyment. The Isla frames are the highest quality aluminum, rust and maintenance free. Woodard then applies a chip and peel resistant polyester powder coated finish. 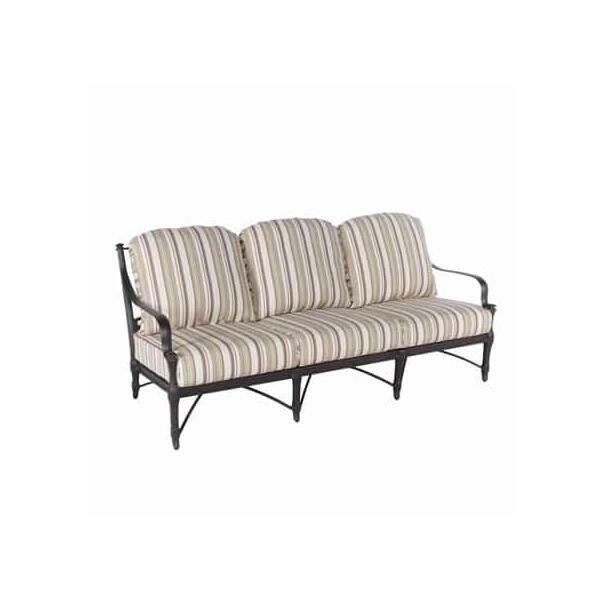 And on top of these stellar patio furniture frames sit Woodard’s extra deep and incredibly lush outdoor cushions. The Isla Deep Seating Set isn’t just patio furniture, it is an experience. Have a little vacation every day with the Isla Deep Seating Collection.